Stem: Cannondale C1 Ultralight 2014 Alloy 31.8 6 deg.. This is for the core - the local heroes, the crit assassins, the working-man racers with chiseled legs and dreams of glory, becuase they know that when it comes to pure performance for the buck, nothing can touch CAAD12. 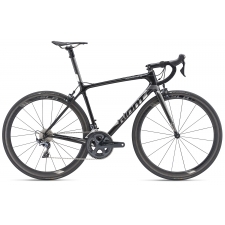 Lighter, stiffer and smoother than most carbon frames, it's not just the finest alloy racing bike ever made, it's the only choice for those who know. One-piece, BallisTec carbon fork. 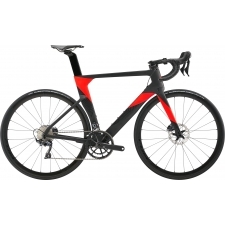 Continuous carbon fibre construction from dropout to top of steerer delivers great structural integrity. Crown-race-less design saves weight and improved fibre path for amazing strength-to-weight. The HiMOD version weighs just 290g. Disc Brake CAAD12 uses our proven full carbon disc fork, with post mount. CAAD12's minimalist flat-mount disc mounts are not only ultra light (the disc frame is actually a few grams lighter than the non-disc one!) but they are incredibly strong. They're such an advantage that we patented the design! For increased stiffness, the seat tube flares to a dramatically wide, ovalized section where it meets the wide BB30A bottom bracket shell. 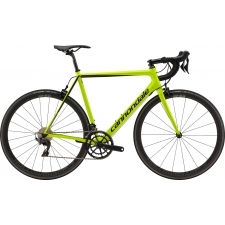 Buy your Cannondale CAAD12 Disc Dura Ace Super Light Aluminium Road Bike 2019 from Revel Outdoors.